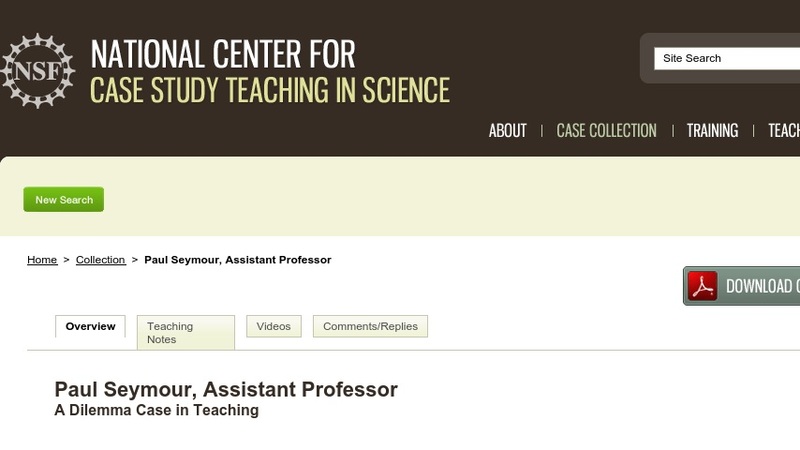 This case study explores two of the major issues that confront new faculty when they experiment with a new method of teaching like case study teaching. The first issue is how to introduce the new method into the classroom successfully when both the instructor and the students are novices. The second issue concerns the possible consequences of focusing heavily on teaching in an environment where research, not teaching, is not the primary criterion for promotion and tenure.